Part time and flexible working arrangements are a fundamental part of the workforce within Western jurisdictions, and are a significant incentive that employers use to recruit and retain their talented employees. However, part time and flexible working is not currently a working arrangement which many employers offer to their employees within the UAE. This may be about to change in light of a significant statutory development. The UAE enacted Ministerial Decision No 31 of 2018 at the beginning of March 2018 (MD No 31). MD No 31 provides a legal frameworks that enables employees to legally employ and visa sponsor part time employees and permits those part time workers to be employed by more than one UAE employer at anytime. MD No 31 applies to either UAE nationals or expats who are skilled first and second tier workers in the UAE only, which means individuals who hold a university degree or higher or who have completed a diploma in any technical or scientific field. To work part time, employees must obtain a part time work permit from the UAE Ministry of Human Resources and Emiratisation (MOHRE) and be engaged on a new standard form part time employment contract. The MOHRE distinguishes between 'primary' employers and 'secondary' employers. Primary employers are responsible for all the costs associated with sponsoring the part time employee and must also provide the employee with their end of service gratuity, annual leave and any other statutory benefits provided by the UAE Labour Law No 8 of the Year 1980 (UAE Labour Law). The secondary employer is required to pay salary for the hours worked and cover the costs associated with the part time work permit. The secondary employer is not legally required to provide any other statutory benefits under the UAE Labour Law, although it can of course provide any such benefits on a discretionary basis. Significantly, no NOC is required from the primary employer before the part time employee can work for secondary employers. In fact, it is not possible for either a primary or a secondary employer to prevent an employee from working elsewhere (even for a competitor) unless a court order is obtained. The employee simply needs to obtain permission from the MOHRE. A part time employee is required to work a minimum of 20 hours per week for the primary employer and is then free to work additional hours for other employers provided the total working hours do not exceed 8 hours per day or 48 hours per week. In exceptional circumstances, working hours may be increased to 60 hours per week provided the employee is given at least one day per week off. The implementation of MD No 31 is a fantastic development for UAE employers and employees. It supports employers who only require and only have budget to recruit part time employees and it also supports UAE nationals and expats who only wish to work for shorter hours or would like to have more than one role. 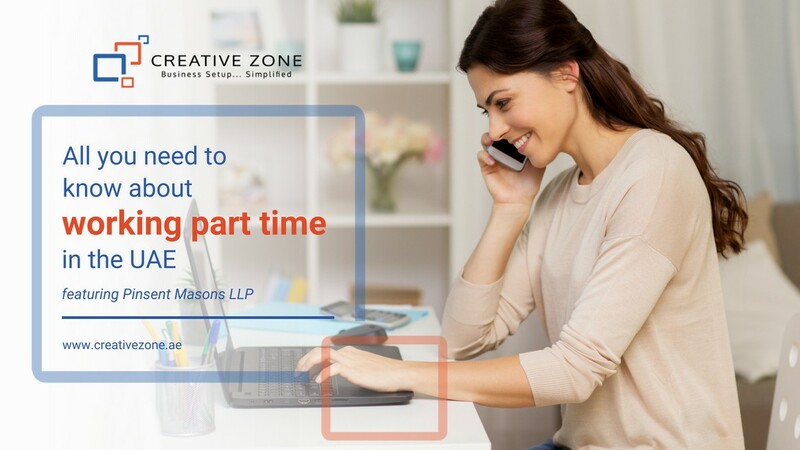 This development is a win-win for all parties and we would certainly encourage business and our clients to consider creating roles for part time employees within the UAE. Please do not hesitate to contact us if you have any queries regarding the new laws around part time working or implementing part time working within your organisation. As head of our Middle East Employment Practice, Luke advises clients based in the United Arab Emirates and Gulf region on all aspects of employment and labour law issues. Chambers 2017 describes Luke as being "praised by sources as a very experienced and capable lawyer". Other commentators add that he's proactive and definitely someone to watch. He regularly advises clients on contentious and non-contentious matters, including before the DIFC courts". Luke is ranked as a “Next Generation Lawyer” and an “Associate to Watch” by Legal 500 and Chambers respectively, and was awarded Young Lawyer of the Year at the 2017 DIFC Gala Dinner. Andrea is an employment specialist and is a member of the Middle East Employment Practice. Andrea advises clients on all aspects of their local and regional employment relationships, focussing predominantly on secondments of employment, preparing employment documentation and handbooks, advisory work and representing clients with regards to employment litigation. Andrea has a background of working in-house within the financial services sector where she coordinated the closure of the Liverpool office and assisted with the redundancy and redeployment of 500 employees.